The sweepers are manning their brooms and banners start to come down in a frenzy the last day of Comic Con. Through the hustle and bustle for the first two days. Students still manage to have their fun while swimming through the large crowds. 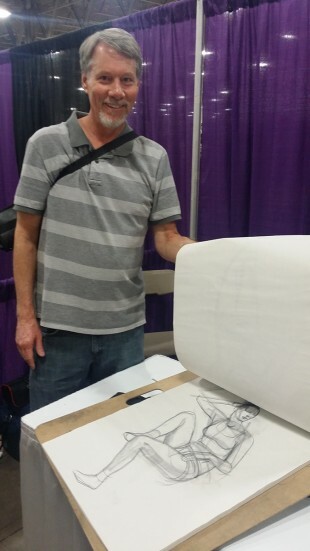 At the Salt Lake Community College booth, Rick Graham, a Visual Arts Professor, was demonstrating his sketch work on site. Each sketch took him about 10 to 15 minutes. SLCC TV was also filming interviews throughout the three day event. Showcasing to potential students what to expect in Mass Communication. Cosplayers were out in full force, with people as far as the eye can see dressed up as their favorite superhero characters. People from all over the country and from around the world attended this momentous event and SLCC students have gotten the chance to be a part of something big. The inner nerd comes out of everyone as soon as you bust through the entrance of Comic Con. Fathers taking the kids to their first Comic Con, couples dressing up as “Dynamic Duos” and the stars come out in the middle of the day. 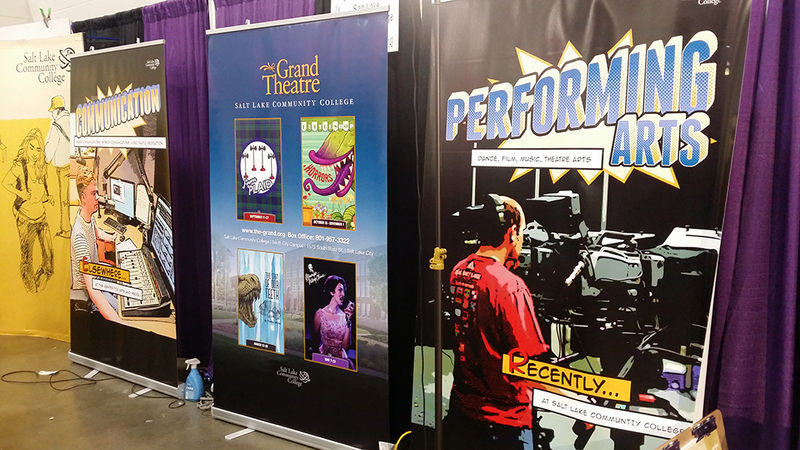 Salt Lake Comic Con 2014 has come and gone. The buzz is still in the air for the next one. Who knows what might happen in 2015? We will just have to wait and see. SLCC students invade Salt Lake Comic Con! SLCC is going to Salt Lake Comic Con! Salt Lake Comic Con 2014 boasts larger crowds than ever before!